A petition filed by NGO Common Cause, through advocate Prashant Bhushan has questioned the entire selection process for appointment of Chairperson and members of the Lokpal and sought to declare "illegal" the rules under which selections are being done. The Supreme Court bench of justices R M Lodha and Kurian Joseph found merit in the submission made and issued notice and directed the Centre to reply to the petition within four weeks. The centre had framed Rules under the Lokpal and Lokayuktas Act, 2014 known as 'Search Committee (Constitution, Terms and Conditions of appointment of members and manner of selection of Panel of names for appointment of Chairperson and Members of Lokpal) Rules, 2014'. Solicitor General Mohan Parasaran, who was present in the court, on behalf of the Centre, accepted the notice. Prashant Bhushan also sought a declaration to declare that certain provisions of the rules are ultra vires of the Lokpal and Lokayuktas Act. According to him, the entire selection process commenced under the impugned Rules is illegal, arbitrary and violates Article 14 of the Constitution. According to Livelaw reports, one of the eminent jurists of the Country, Fali Nariman had slammed the Lokpal selection process and refused to become a part of the 8-member Lokpal Search Committee. Justice K.T. Thomas, who was chosen as the head of the Search Committee, had followed suit, and written to the Prime Minister’s Office expressing his inability to take up the appointment as head of the Lokpal Search Committee. “I have decided to withdraw from the search committee after I studied the rules. The selection committee itself can find out the persons from the list of central government, what the search committee is expected to do and forward the list to the government,” Justice K.T. Thomas said in his letter to the PMO. It was on the 21st of February, Fali Nariman reportedly shot of a letter to the Minister of State for Prime Minister’s Office (PMO), V. Narayanasamy, questioning the selection process of the Lokpal and its members. Therefore, considering that Justice K T Thomas and Fali Nariman, who were offered the post of the Chairman and member of the Search Committee respectively, who had already declined to accept the offers on these very grounds, the petition said if the selection process of the Lokpal is not stayed during the pendency of the present writ petition, it would render infructuous and public interest would suffer. According to the petition, Rule 10 (1) provides that a panel of persons shall be prepared by the Search Committee to be considered by the Selection Committee for appointment of Chairperson and members of the Lokpal, from among the list of persons provided by the central government, directly runs counter to the very object of having an independent Lokpal and the provisions of the said Act. The petition further states that interest has been expressed by at least four sitting judges of the Supreme Court for being considered for the post of judicial members of the Lokpal. Even though it is permitted under clause (3) of Section 3 of the Act, their candidature will seriously compromise the independence of judiciary which is a basic feature of the Constitution, since the government will be handling and considering the names of the judges of this court for appointment as judicial members of the Lokpal. 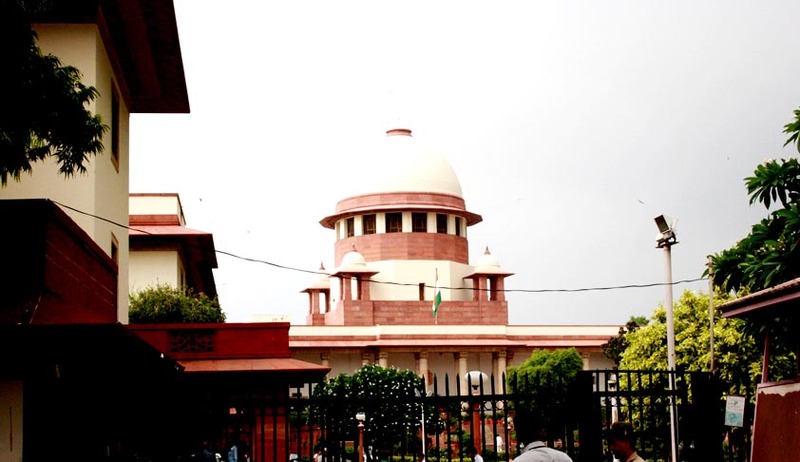 On an earlier occasion Livelaw has reported, that the constitutionality of the Search Committee (Constitution, terms and conditions of appointment of members and the manner of selection of panel of names for appointment of Chairperson and members of Lokpal) Rules, 2014 had come under challenge.